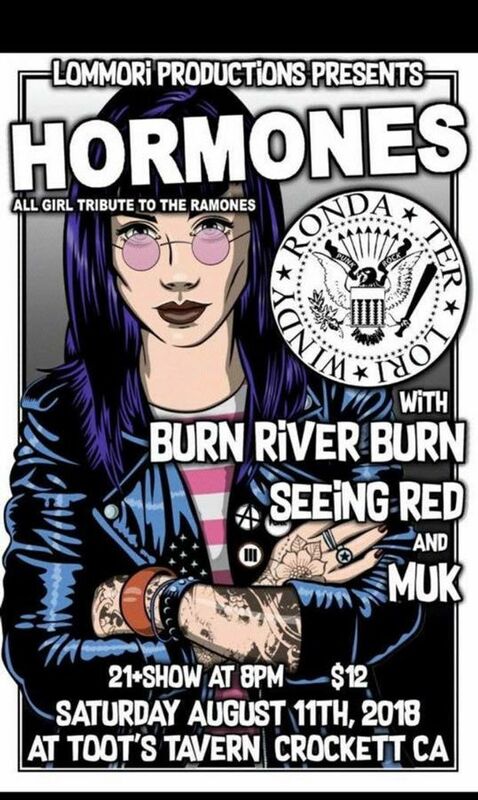 The Hormones are an all girl tribute to legendary rock and roll hall of famers’, the Ramones. Ready for some Ramones! We return to Crockett on August 11, along with Burn River Burn, Seeing Red and Muk! Effen crazy group of excellent musicians! Totally enjoyed the show! !